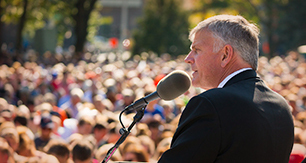 "Christians can make a difference," Franklin Graham said Friday in Bakersfield. "We need the Christian voice in politics." Describing the Decision America California Tour in a few words isn’t easy. It’s part prayer rally. Part evangelistic outreach. Part energizing and challenging the church to live out their faith in Jesus Christ. Especially in places like California, where being an outspoken Christian doesn’t exactly make you a lock for school board president. Decision California has meant different things to different people. 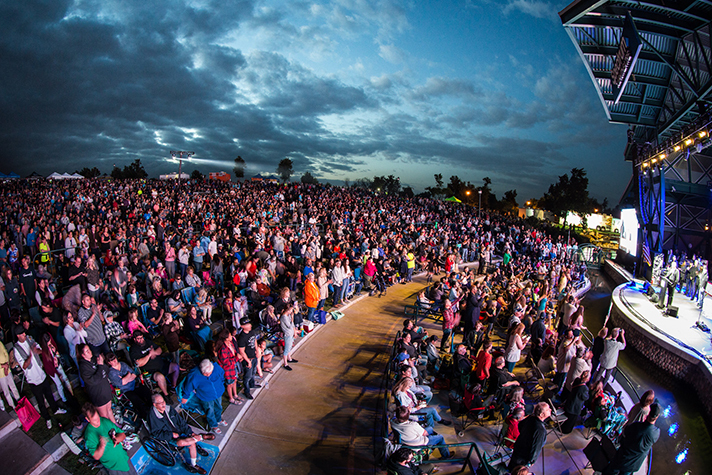 So naturally, as Franklin Graham began to address a crowd of over 8,000, spilling out of gorgeous Spectrum Amphitheatre on Friday evening, he came up with a new category of people. After all, they say the most effective speakers define their audience first. “Tonight, my message is for those who are almost saved,” he said, before delivering a word from Genesis 19 (Sodom and Gomorrah). And just like Lot’s wife almost fully obeyed God, she couldn’t help but take a quick peek back and found herself instantly paralyzed into a pillar of salt. Of course, Franklin knows there’s no such thing as being “almost saved,” but that’s the point. And it resonated. So many people stood to his invitation to follow Christ as Lord and Savior. There’s no time to be halfway committed. Afterward, prayer volunteers gave out follow-up materials to hundreds in the massive crowd. Jerry and Jessica were definitely sure after Friday night, and were overwhelmed by what took place. “I feel the Lord wants to bring purity back to the church,” said Jerry, 37, as he looked through the materials. “I think it’s really important to follow His Word and not the world’s ways. 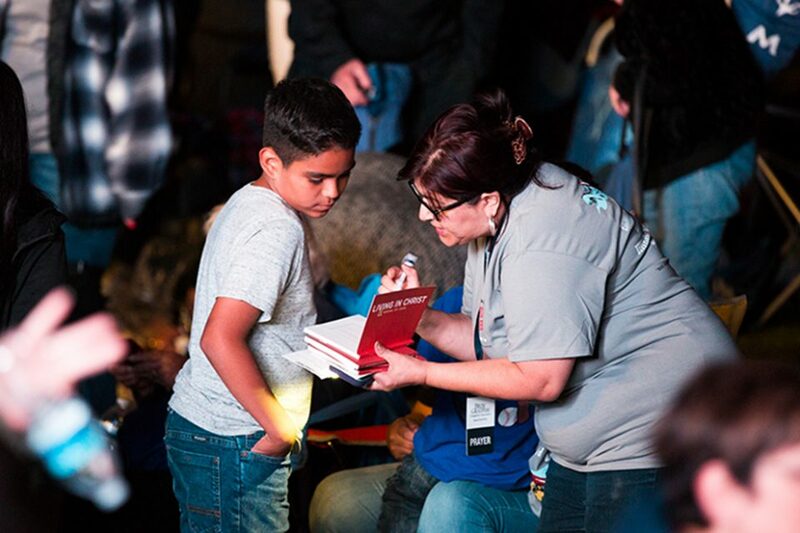 Many responded to Franklin Graham’s invitation to accept Christ into their lives on Friday night in Bakersfield, California. “We like Christian music,” was their best alibi, as their kids ran around in circles. For Cheryl Carroll, born and raised in Bakersfield, it was the music. And the message. But also, mostly about coming together to pray. On the day Ireland voted to legalize abortion, her anti-abortion sticker said more than she could, especially when she started choking up about the future of our country, of California, of Bakersfield. And her grandchildren. She came to pray for all four. She hears it all the time, especially when she visits family on the East Coast. Sergio Herera might have thought it was a little crazy bringing out his wife, 6-year-old son and his 9-month-old daughter. But he just finished an Israel tour and was on fire to hear a new Gospel message. “Our church normally has a prayer meeting on Friday night,” he said, “but they cancelled it so we could all come out here. 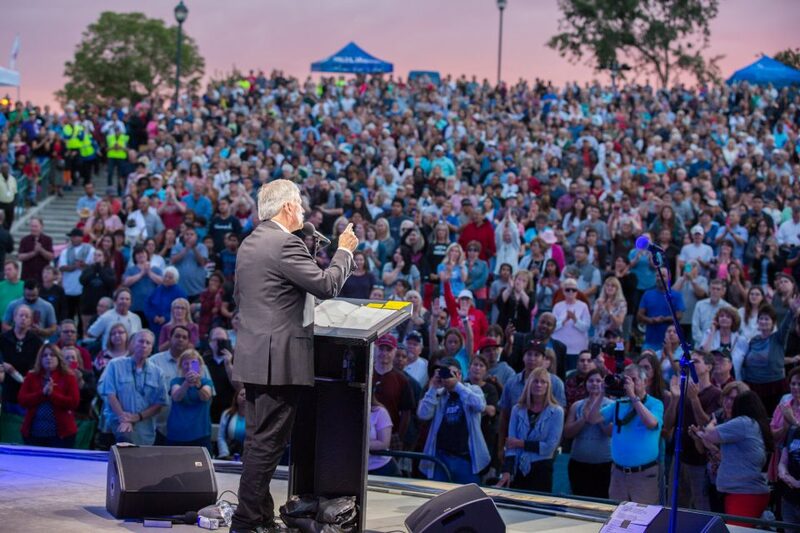 And just as Jeremy Camp was wrapping up his worship set, introducing Franklin Graham to the stage, it was hard to miss the majestic sunset radiating the sky, taking on additional octaves of color. It was impossible to miss, even if you were streaming online at BillyGraham.org/Live or watching on Bakersfield’s ABC-23 (KERO-TV) website or Roku channel. And if you stood perfectly still, you could catch the slightest of breezes. It was 71 degrees. Billowing clouds up above. Practically a Rembrandt. And the Holy Spirit was about to move. Watch any of the remaining 6 Decision California events LIVE at: Billygraham.org/live. All events begin at 7:30 p.m. PT/10:30 p.m. ET.